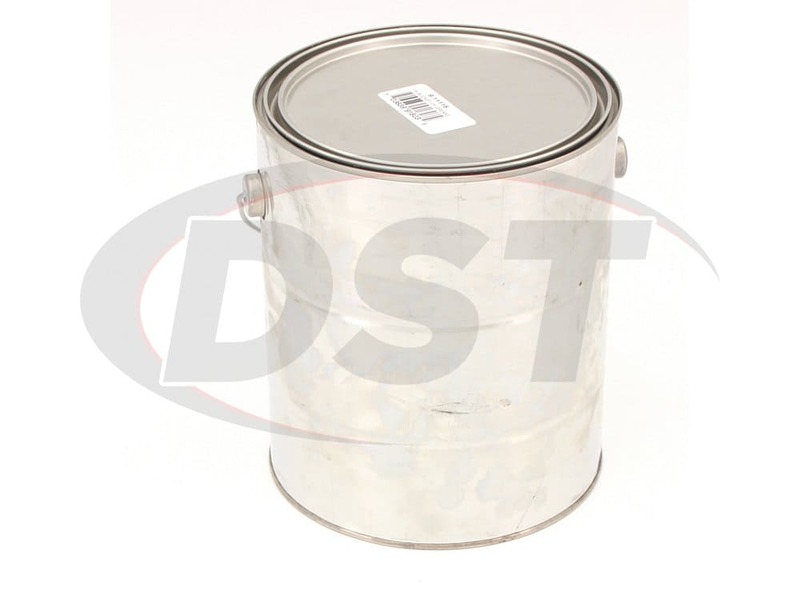 Forms a tough, durable, chemical resistant film of lubricant. Prevents metal-to-metal contact even under severe shock loads. Only a small amount is needed to properly lubricate bushings and metal components and to prevent corrosion. Do bushings made of polyurethane squeak? Have you ever heard that polyurethane bushings are bad because they squeak? Surely you have heard that I know we at DST hear that all the time. Ready for the truth... Brace yourself... Yes, polyurethane bushings can squeak... if you don't lubricate them properly. When you install polyurethane bushings in a vehicle, there is a chance that it could cause squeaking. 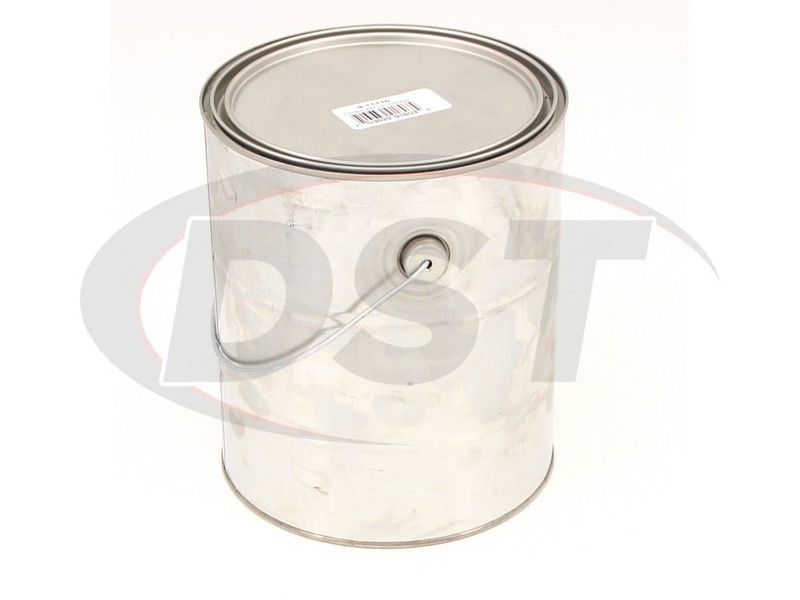 That can be avoided however by simply lubricating the part properly at install. With the OE rubber bushing, there is a permanent bond between the rubber and the metal.  Because the rubber cannot move relative to its housing, there is no opportunity for it to squeak. That's why you don't lubricate an OE rubber bushing. But, the problem with this permanent bond, it puts way too much tension on the bushing. As the suspension travels, the sleeve of the bushing pivots. But with the rubber bonded to the metal, the bushing is stretched inside the housing. Once the suspension returns to normal, the bushing rebounds. Over time this process will wear the rubber out causing cracks and distortion. With polyurethane, you instead have a free-floating design, which allows for the pivoting center without stretching and distorting the bushing. Now that there is this free-floating design, the metal and polyurethane have friction between them, giving you a free-floating bushing that performs much better but opens up the opportunity for squeaking if there is no lubricant between the bushing and the housing. By utilizing the Formula 5 pre-lube, you get the performance of an Energy Suspension polyurethane bushing without that annoying squeaking! 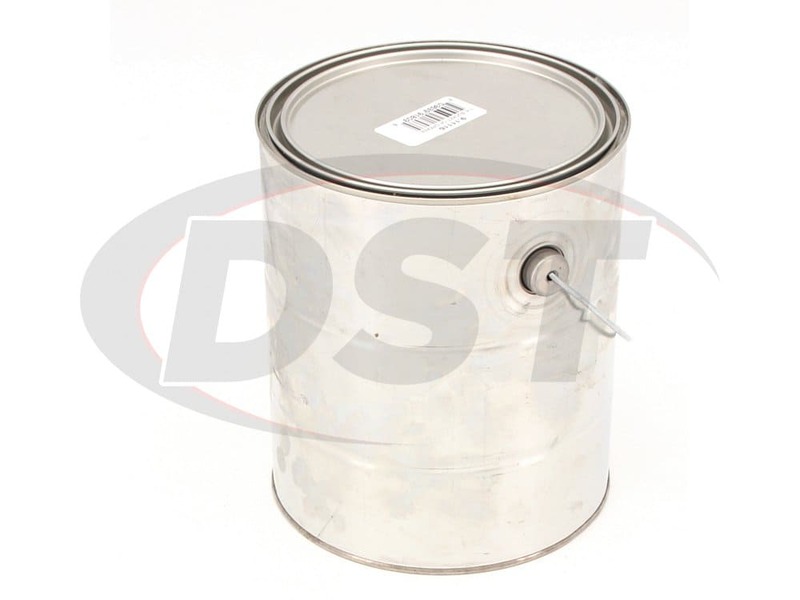 Energy Suspension has their own grease called Formula 5, which DST recommends using for Energy's bushings. 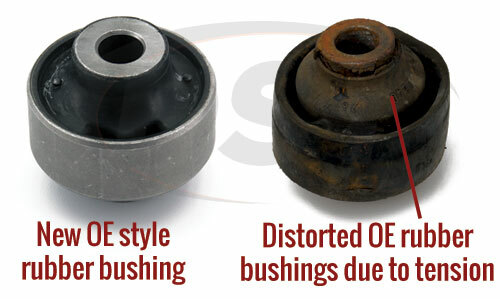 Each bushing kit includes the minimum amount of grease to install these bushings properly. 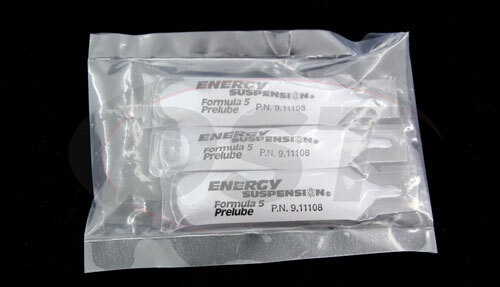 We have these tubes available in packs of three for pretty cheap in the form of 9.11110. So you could grab a few extra packets when you purchase your bushings to make sure you have plenty of grease to get these bushings installed right the first time. Again, each kit includes the minimum amount of grease required so having some extra grease around is a good idea in case you lose some, or it is lubricated improperly and you have to start over. This stuff is sticky, and we mean sticky. Once this grease is applied to your bushing, it's not coming off without soap and a lot of scrubbing. This grease is both waterproof and melt proof. Coat it liberally, using as much grease as you need to ensure complete coverage. Can I use any other type of grease? Can you? Sure! Should you? Not a chance! If for some reason you can't get your hands on this grease, you can technically use any grease you want, you aren't going to hurt these bushings. But the difference is the longevity of the bushings. If you install a bushing with grease that won't stay, eventually you will have so much friction that squeaking will be the least of your worries. Marine grade grease would be the best to use because it's probably the tackiest and it's waterproof. 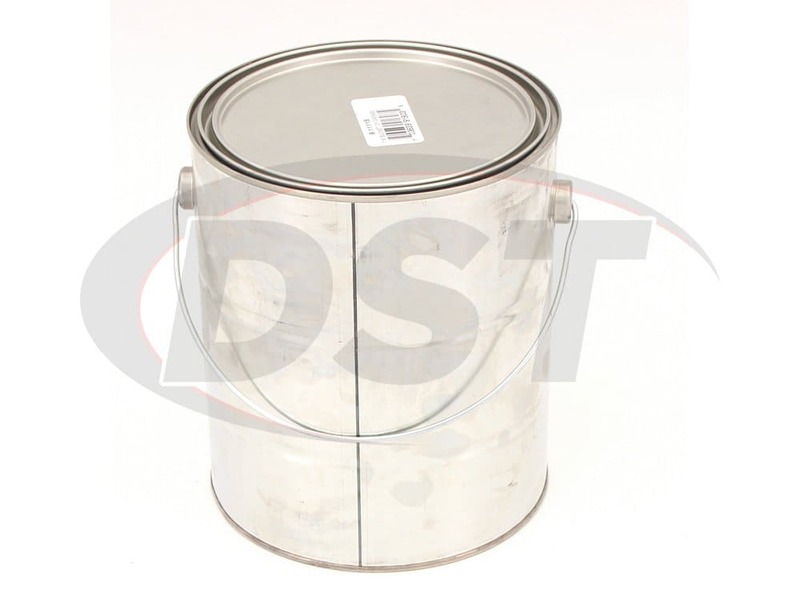 White lithium grease will turn into liquid and run off as soon as there is a little heat. 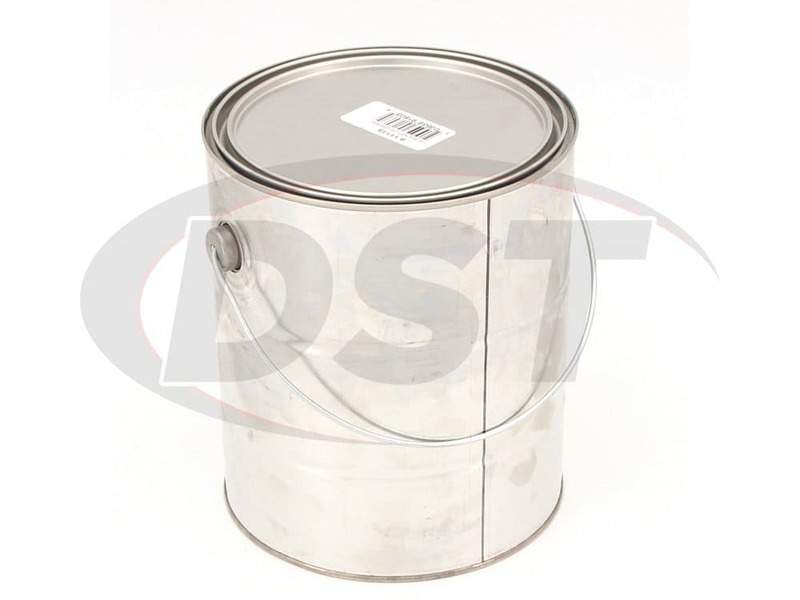 Chassis grease is also okay to use. 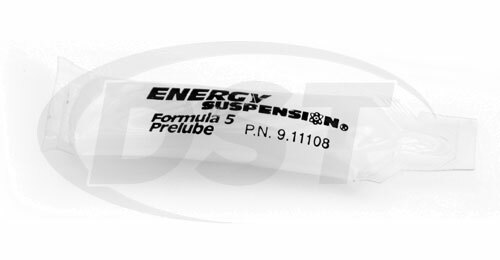 Regardless of other alternatives, don't expect the same results as Energy Suspension's Formula 5 prelube. You can ensure the longevity of your bushings, and a squeak-free ride by installing Energy's polyurethane bushing with the pre-lube designed specifically for them! Can you ship Formula 5 Prelube Polyurethane Bushing Grease internationally? Yes, we can ship Formula 5 Prelube Polyurethane Bushing Grease internationally. It would just depend on your country if you can receive it there or not.